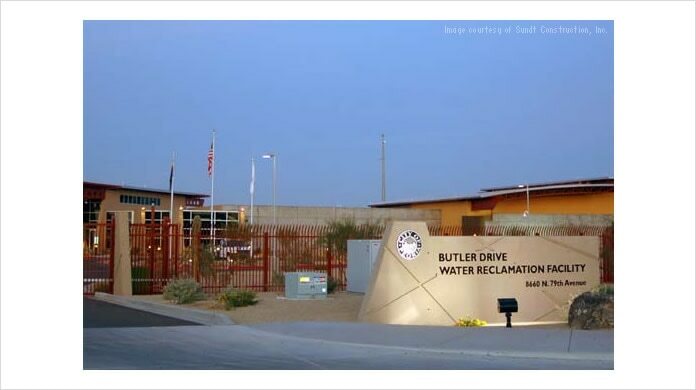 The Butler Water Reclamation Facility processes 10 million gallons of wastewater each day and provides Peoria, Arizona, with a valuable renewable water resource. Using a Building Information Modeling (BIM) construction process, Sundt Construction kept this US$135 million public works project on time and on budget. Compared to traditional 2D methods, the use of BIM resulted in no notable change orders, 84% fewer RFIs, and more than 6,000 hours saved on concrete rework alone. The team was able to identify and resolve more than US$200,000 in interferences on the project before construction began. In addition, the intelligent model provided a valuable foundation for clear communication with stakeholders. Using BIM solutions, the team could visualize how the complex piping and utilities interfaced with structural elements. This insight helped the team develop a design that supported cost-effective and efficient construction. With insights provided through use of the intelligent model, the team determined that there was 67% less concrete rework, thereby improving ability to control costs.